When I was young and just started listening to classical music, I had a slight disdain for Mozart. “Too easy”, for kids, or similar stereotypes. How wrong I was. Sure, pretty much every single Mozart piece has something immediately pleasing to it, something that even a non-classical music listener usually easily grasps, and mostly likes. What I completely missed how hard it is to make something sound easy AND interesting at the same time. The more I discovered the music of Mozart’s now mostly forgotten contemporaries (Stamitz, Salieri, Michael Haydn, etc.) , the more you discover what is really missing there and what makes Mozart’s music so unique. When you think about chamber music, and the very simple but elegant form of violin sonatas, usually people think of Beethoven first, with his famous Kreutzer sonata, or sometimes Brahms (see my review of Brahms sonatas with Isabelle Faust here). Mozart isn’t the first composer that springs to mind when talking about this genre. Probably this is partially due that quite a number of them were written when he was really young. Luckily, he stuck to this form throughout his life, and ended up writing 36 of them. I’m a big fan of Rachel Podger. She is usually focusing on Baroque music and has recorded some outstanding albums here (more about this later on this blog). However, she also ventures into Viennese classical music. And how well she does. She has recorded the complete Mozart sonatas in a total of 8 volumes. She plays here with Gary Cooper, who plays a beautiful fortepiano. Let me arbitrarily talk about vol. 2 here, but honestly, all 8 volumes are worth getting. 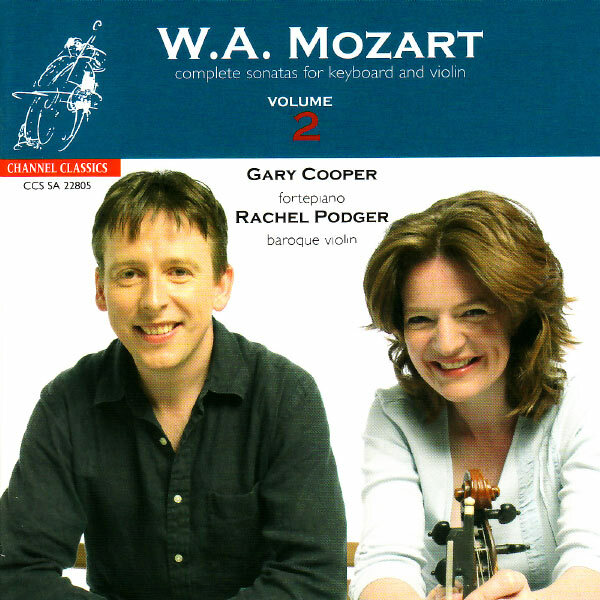 On each volume Podger mixes more mature works with some of Mozart’s very early works (e.g. KV7 here). And while it is clearly evident that this is not mature Mozart (the boy was approximately 8 years old when he wrote this, and probably helped by his father), even this one is worth discovering. But you also get the outstanding KV481 on this album which dates from the same time of his great Da Ponte operas (Don Giovanni, Figaro etc.). As an additional bonus, Channel Classics is a label that care a lot about recording quality, and this is one more example of it. My rating: 4 stars (5 stars+ playing, but the inclusion of the early sonatas gives 1 star off, making it just not AS essential as some other works). You can get it in it’s native recording format of DSD here (Native DSD), note that not all players do support this format. Otherwise you can also purchase the full 8 CD box here much cheaper if you prefer physical media (Prestoclassical). At this point in time, there’s even a special offer ongoing.